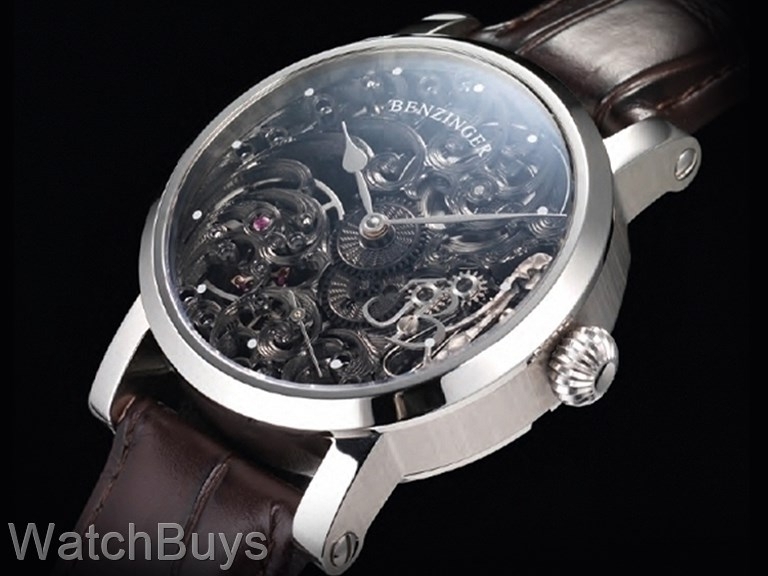 We love the latest hand created skeleton from Jochen Benzinger. Jochen calls this watch the "Black and Silver Skeleton" and it is indeed quite unique among his hand-made skeleton watches. As with all Jochen Benzinger watches, hand workmanship is the key. Using hand tools and machines, many of which are more than 100 years old, Jochen first sketches his design on pencil and paper. And then the hard work begins. To create the new Black and Silver Skeleton, Jochen plays with the high contrast between black and silver to design the individual elements of the movement. The flamed blued screws are treated with PVD/DLC so as to match the overall design of this watch - something we have seen on no other mechanical watch. The colors used in this watch are amazing - a blend of silver and matte black on both sides of the watch. Because this watch has no dial it is possible to see the entire movement in action and once you realize the machines that Jochen uses in his workshops to create these masterpieces you'll soon realize why there is only one Benzinger (click here to learn more about these machines and the manufacturing process). 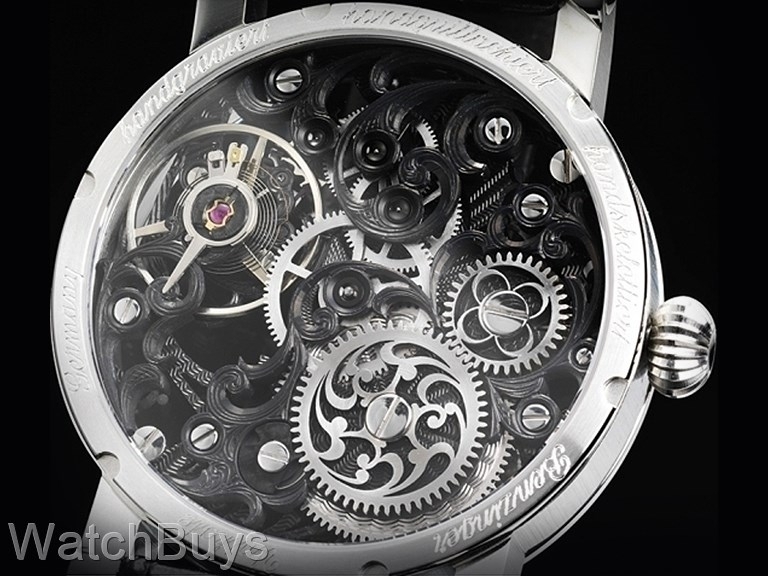 To say the watch has engraved parts is understating the work involved. The entire movement must be completely disassembled with each movement part hand engraved and polished, many using elaborate designs. This watch like all of Jochen's watches is one watch that you will want to turn over to show what a true artist can accomplish. The case features a smooth tapered bezel and onion crown. The case itself has been bead blasted to a matte and polished finish. This watch is manually winding with a power reserve of 44 hours, and features a large sub seconds hand at 6. Sapphire crystals on both sides with screwed balance. The presentation box is elaborate, and naturally features engraved plates describing and naming the watch. This watch ships with a black Benzinger calf leather strap and signed and engraved Benzinger deployant buckle.